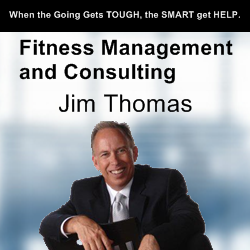 Jim Thomas is the well-known founder and president of Fitness Management USA, Inc., a management consulting and turnaround firm specializing in the fitness and health club industry. 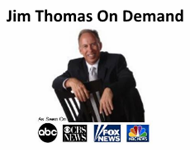 With over 25 years of experience owning, operating and managing clubs of all sizes, Mr. Thomas lectures and delivers seminars and workshops across the country on the practical skills required to successfully build teamwork and market fitness programs and products. 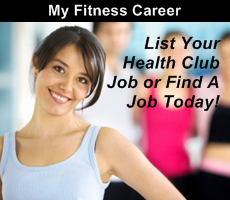 Since forming Fitness Management, Mr. Thomas has been turning health clubs around at an amazing rate and garnering a reputation as a producer of change…a sharp-eyed troubleshooter, a brilliant sales trainer, and a motivator. 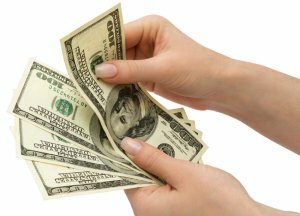 Fitness Management provides programs that show measurable results and Jim’s team is proud of their ability to glean profit from every square foot of a client’s investment.